Massy’s Estate Sprint Orienteering Irish Junior Squad fundraiser. From M50 exit J12 and head inland towards Firhouse. Left at first junction following signs for Kilakee/Killakee. Event will be signposted from here. Right at 2nd roundabout (straight on is closed) Follow detour through roundabout and then sharp left before LIDL. Keep going twisty and uphill, turn right at T junction more uphill and Hellfire carpark will be on right. The carpark will be full. Event parking is on forest road at top of carpark. Registration, and courses are in Massy’s wood across the road from car park entrance. A sprint specification map (ISSOM) and Si-Air enabled event. See legend at bottom and note forbidden to cross items and special symbol. All monies taken on day go to Junior Squad. Please donate generously. No fixed fee but suggested minimum €5 plus €2 for SIAC hire. The shorter course is technically easier and is suitable for beginners. 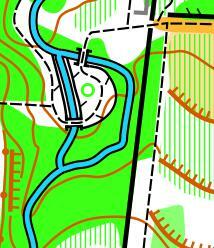 Experienced course is broken into 2 parts one on each side so turn over map for 2nd part. SIAC contactless punching available, first IOA event to offer this and good practice for the JK the following week. 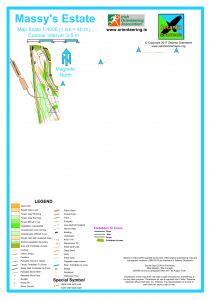 Northern Ireland Orienteering Association are donating the use of their SIAC stock. There will be enough SIACs available for everyone. 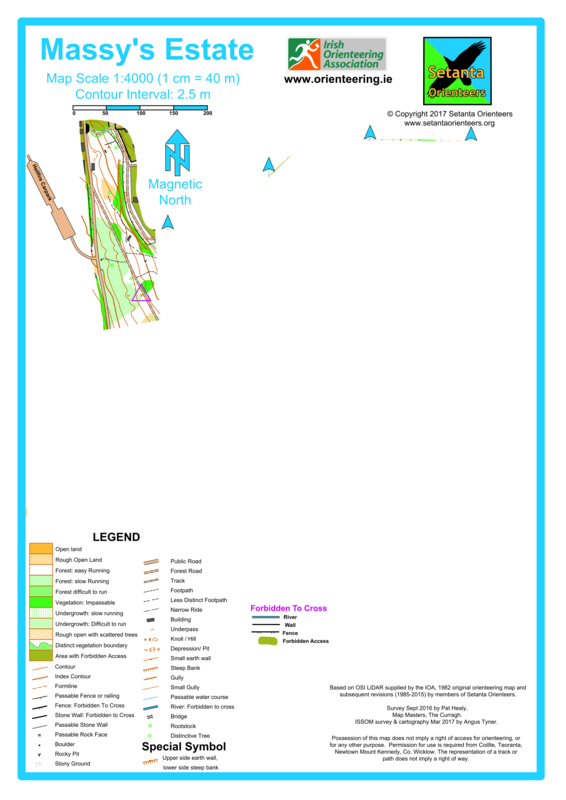 Descriptions on the map, English for beginners and symbols for experienced. Loose symbol descriptions available for experienced course. The finish is 70m downhill of the start so not to tire you for the Leinster Champs the following day! (any other day and there would have been a nice uphill finish!) 500m from finish back to download in registration/start area.